Click image above to enlarge or click here for more pictures. 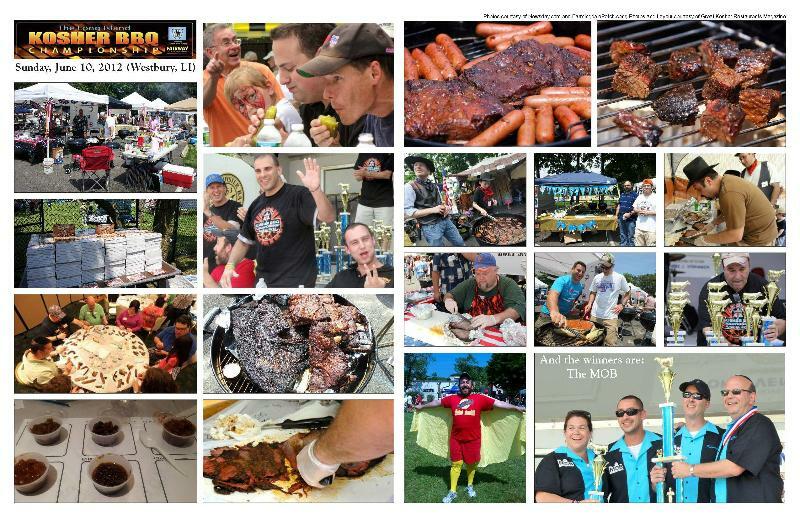 The second annual Long Island Kosher BBQ Championship is taking place this Sunday, from 11:00am to 3:30pm. FREE Registration to Attend. FREE parking to all attendees! Cowsher Cafe opens and remains open until 3:00 p.m.
All guests and attendees can RSVP for free by clicking here. RSVP to receive updates and a FREE beverage at the event (when checking in with your mobile app or RSVP printout). Although, registration is not required for entry. Great Kosher Restaurants Magazine Publisher Elan Kornblum and our Social Media Executive Hadassah Sabo Milner are proud to be part of the judging team. And on behalf of the "Great Kosher Restaurants" Family, let me wish heartfelt condolences on the untimely passing this week of Marvin Rembo, who was the founder and driving force behind the LI Kosher BBQ. We dedicate Sunday to you.